This site teaches chess in words. It has two parts. 1. The first part is a book that explains chess tactics (that is, how to make winning moves). It assumes no prior knowledge of the subject. Everything is explained progressively and in plain English. You can read it by clicking anyplace in the table of contents below. The headings can be expanded one at a time by clicking on the [+] signs, or click here to expand all of them at once. (And then you can click here to collapse them all at once.) There are 20 chapters, about 200 topics within them, and over 1,000 positions discussed. 2. The second part is a trainer: a set of puzzles shown without solutions that you can use to practice. Click here or on the "Chess Quizzer" box to the left to use it. You can try a random position from the book or one that involves a particular topic. The trainer allows you to ask for a hint if you're stuck, and to see the answer when you are done. You can always come back here by clicking the "contents" button in the upper right corner of every page. If you arrived by a different route, the best address for returning is www.chesstactics.org. This whole site has now been made much friendlier for mobile devices thanks to the help of a kind and ingenious reader. Book versions of this site are available: over 700 pages in total in a two-volume set. Here are links to book one and book two. You can check out other books by the author about philosophy here, language here, metaphor here, and law here and here. [+]1.1.A Short Guide to the Site. 1.2.2.Why Another Book About Them? [+]1.3.The Elements of Tactics: A Primer. [+]1.4.Notation; Jargon; the Look of the Site; Hard Copies. 1.4.2.The Value of the Pieces. 1.4.3.Making the Site Easier to Read. 1.6.1.Some Interesting Allusions to Chess. 2.1.6.Getting Out of Your Own Way. 2.1.9.Checking the King into Position. 2.1.11.Using Mate Threats to Force Pieces into Position. 2.2.2.Simple Cases: Forking the King and a Loose Piece. 2.2.3.Using the Side of the Board During the Opening. 2.2.4.Making the Forking Square Available. 2.2.5.Loosening the Target by Exchanging It. 2.2.6.Loosening the Target by Disabling its Guards. 2.2.7.Moving the Enemy King into Position. 2.2.8.Clearing the Path to the Forking Square. 2.2.9.Clearing Paths to the Targets. 2.2.12.Mate Threats with Attacks on Underdefended Pieces. 2.2.15.Attacking Two Loose Pieces: More Procedures. 2.2.16.The Enemy Queen as a Target. 2.3.2.Bishop Forks One Move Away. 2.3.4.Loosening the Target and Forking Square. 2.3.5.Moving the King into Position, etc. 2.3.6.Bishop Forks of the King and Queen. 2.3.7.Bishop Forks of Other Pieces. 2.4.4.Moving the King into Position. 2.5.2.Exchanges to Create Working Pawn Forks. 2.5.3.Forcing Pieces into Place with Threats and Checks. 3.1.1.Introduction to Discovered Attacks Generally. 3.1.4.The Unmasking Piece Makes a Capture or Threat. 3.1.5.Drawing the Enemy King into Place. 3.1.6.Drawing the Target into Place. 3.1.10.Removing Impediments to Discovered Checks. 3.1.11.The Bishop and Rook Mate. 3.1.12.Other Large Threats By the Stationary Piece. 3.3.5.More on Mate Threats: Vertical and Horizontal Patterns. 3.3.6.Discovered Check with the Knight. 3.3.7.Discovered Checks with Preliminary Exchanges. 3.3.9.Discovered Check Leading to Mate. 3.3.10.Building the Kernel: Diagonal Patterns. 3.3.11.Building the Kernel: Vertical and Horizontal Patterns. 3.4.2.A Step Up in Complexity. 3.4.3.Arranging Pawn Discoveries on Diagonals. 3.4.4.Arranging Pawn Discoveries on Ranks and Files. 3.4.5.Strategy and the Discovered Attack. 4.The Pin and the Skewer. 4.1.4.Upgrading the Value of the Target. 4.1.5.Exchanges of the Target for Other Purposes. 4.1.8.Getting the Pinning Piece to the Pinning Square. 4.1.11.Pushing the Enemy King into Line. 4.1.12.Making Use of Forced Interpositions. 4.1.13.Making Use of Forced Captures. 4.1.14.Using Threats and Captures without Check. 4.2.1.Using Pawns to Attack the Pinned Piece. 4.2.2.Ganging Up on the Pinned Piece. 4.2.3.Using Checks to Separate the King from the Target. 4.2.5.Other Ways to Constrain the Pinned Queen. 4.3.1.Pinning a Piece to Take Its Protectorate. 4.3.2.Pinning a Pawn to Take Its Protectorate. 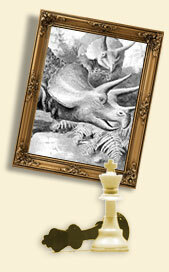 4.3.3.Pinning a Pawn in Front of the King as an Aid to Mate. 4.3.4.Pins of Pieces to Allow Mate. 4.3.7.Strategy and the Absolute Pin. 4.4.3.Other Issues That Arise in Creating Relative Pins. 4.4.4.Ganging Up on the Relatively Pinned Piece. 4.4.5.Taking the Protectorate of the Relatively Pinned Piece. 4.4.6.Taking the Protectorate: More Involved Cases. 4.4.7.Breaking a Relative Pin: Moving the Screened Piece. 4.4.8.Breaking a Relative Pin: Moving the Pinned Piece. 4.5.1.Simple Skewers Through the King. 4.5.2.Simple Skewers Through the Queen. 4.5.4.Substituting the King to Create a Skewer. 4.5.5.Other Substitutions: Queens, Rooks, etc. 4.5.6.Checking the King into Position. 4.5.8.Getting the Skewering Piece to the Skewering Square. 4.5.10.Preventing the Middle Piece from Guarding the Target. 4.5.11.Skewers Where Enemy Pieces are Underdefended. 5.1.1.Introduction to the Section; Simple Cases. 5.1.3.When the Target is Protected Twice. 5.1.4.Capturing the Guard of a Mating Square. [+]5.2.Distracting the Guard (The Overworked Piece). 5.2.1.Simple Cases: One Guard Protects Two Men. 5.2.2.One Piece Guards a Mating Square and Something Else. 5.2.3.When a Piece Guards Two Mating Squares. 5.2.4.Adding a Mate Threat to Create an Overworked Piece. 5.2.5.Distracting a Rook from Duties Up the Board. 5.2.6.Forking Squares and the Overworked Piece. 5.3.2.Checks to Drive the King Away from Guard Duty. 5.3.4.Decoys on the Diagonal: Bishop Check Sacrifices. 5.3.5.Driving Off the Queen with a Threat. 5.3.6.Using the Priority of Check. 5.3.7.Attacks on the Queen to Loosen a Mating Square. 5.3.8.Flush Attacks Against the Queen. 5.3.9.Threats Against Rooks and Minor Pieces. 5.3.10.Forking the Guard and Another Piece. 5.3.11.Using Pawns to Threaten the Guard. 5.4.1.Interference to Loosen a Piece. 5.4.2.Interference to Loosen a Mating Square. 5.4.3.Interference on the Penultimate Rank. 5.4.4.Interference as Part of a Double Threat. 5.4.5.Removing the Guard: Strategic Implications. 6.1.3.Sealing Off the King's Flight Squares. 6.1.5.The Role of the Bishop I: Pinning Defenders. 6.1.6.The Role of the Bishop II: Preventing a Recapture. 6.1.7.The Role of the Bishop III: Driving Back the King. 6.1.9.Combining Back Rank Themes with Forks. 6.1.10.Combining Back Rank Themes with Discoveries. 6.1.11.Combining Back Rank Themes with Pins. 6.1.12.Combining Back Rank Themes with Removal of the Guard. 6.2.2.Anderssen's Mate and Kindred Spirits: Mating on h8. 6.2.6.The Knight As a Substitute in Morphy's Mating Pattern. 6.2.7.The Knight As a Substitute in Greco's Pattern. 6.2.10.Blackburne's Mate and Kindred Spirits. 6.2.13.The Greek Gift: The King Goes to g6.